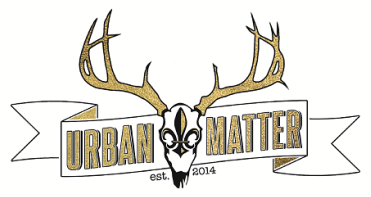 Urban Matter is a home accessories & gift boutique at 4704 Virginia Ave (St Louis,MO) featuring local makers & artisans, curated treasures and made-by-hand goods. We also offer design services, custom lighting, house made leather goods and a unique indoor/outdoor event space. What's coming up @ Urban Matter? Our annual spring flowers workshop with Snapdragon Studio is just around the corner and we're super excited! This year, you can pre-register for the workshop by choosing one of 3 time slots. Snapdragon will also accept walk-in's as space is available. If flowers & workshops aren't your thing, then just come hang out in our lovely backyard event space. The store will be open from 11 - 4 this day for your shopping enjoyment, and because it's also Cinco de Mayo, we'll be serving up refreshing margaritas along with a salsa bar. Pssst, did you hear that Urban Matter is moving? It's true! This summer Urban Matter will move to the South Grand business district. We will double in size allowing us to make some great new additions to the independently made goods we are so proud to offer. We will make updates here and on instagram & facebook as the date draws closer. Keep checking in! e-gift cards are available on-line! ​email delivery! choose to send now or on a future date !